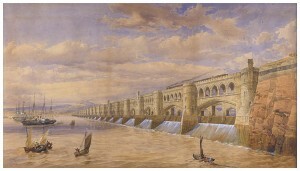 Thomas Fulljames’ watercolour of his plan for the Severn Barrage, 1849. Blog posts by Alexander Portch on the Power and the Water website. 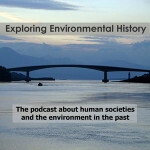 Charlier, R.H., Menanteau, L., ‘The Saga of Tide Mills,’ Renewable and Sustainable Energy Reviews, 1:3 (1997), 171 – 207. 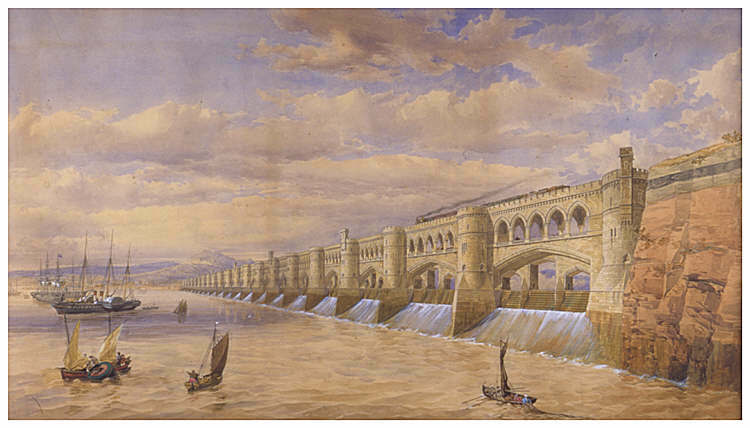 Godbold, S., Turner, R.C., Hillam, J., Johnson, S., O’Sullivan, A., ‘Medieval Fishtraps in the Severn Estuary,’ Medieval Archaeology, 38:1 (1994), 19 – 54. Video showing example of tidal mill: Craftsmen: The Tide Miller, 1951 Woodbridge, Suffolk.